This is a sponsored post about how to save up to 30% extra during the Sears #MoreMerry sale. I am a Sears blogger and all opinions are my own. Happy Holidays! If you’re like me, you tend to procrastinate a bit, especially for holiday shopping…right on up to the week of Christmas. Yep, the big day is just a few days away, eek! Heck, even if you are done shopping for gifts I think you’ll want to check out this awesome event where you can Save Up to 30% Extra During the Sears #MoreMerry Sale! All you have to do is use this Sears coupon code: JINGLE online or print this Sears coupon for in-store use. Heads up that this awesome code and coupon will expire 12/24/14 at 11:59 PM which means my fellow procrastinators have plenty of time left, right? 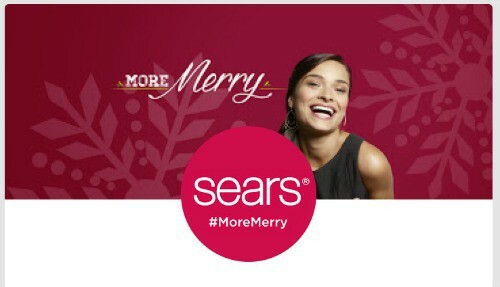 Will you be shopping for yourself or finishing up those last few gifts during the Sears #MoreMerry Sale?